For those interested in unearthing the rich cultural heritage of the indigenous Aboriginal people, the multi-million dollar Tjapukai Aboriginal Cultural Park showcases this proud civilisation in vivid and enthralling detail. Through a series of interactive exhibits, visitors will unearth the origins of Dreamtime and uncover over 40,000 years of Aboriginal history. The centre features a host of multimedia displays and is brought to life by live actors keen to showcase this indigenous culture in all its glory. Australia’s history as the world’s most significant penal colony is best experienced in Sydney, whose foundations were paved by the thousands of prisoners brought to its shores in the 18th century. The most impressive example of convict architecture in the city is the UNESCO World Heritage site of the Hyde Park Barracks, which was at the centre of Australia’s convict transportation network. First opened in 1819, the Hyde Park Barracks saw over 50,000 convicts pass through its gates. While no prisoners are held there today, the centre serves as a fascinating memorial to our country’s origins. 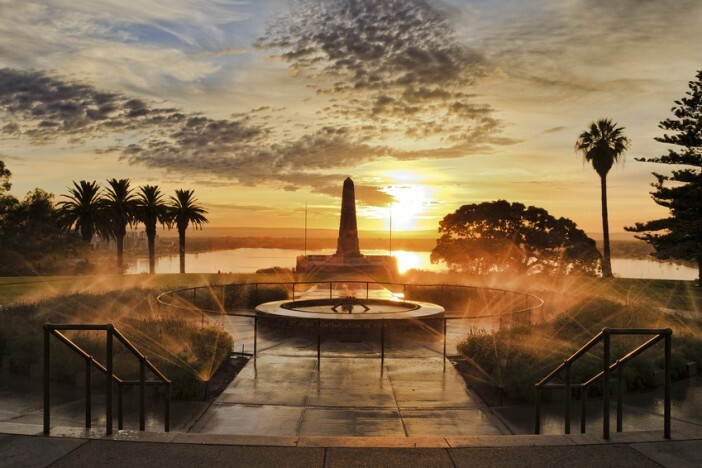 If you’re lucky enough to call at the port city of Perth on your next Australian cruise, be sure to visit Kings Park, one of the biggest public parks in the world. Comprising of botanical gardens and natural bushland, this picturesque space offers enchanting views of the Swan River and Darling Range, making it the perfect place to visit for a relaxing picnic. The park also boasts over 80 different bird species, so those with a penchant for nature and wildlife will savour the opportunity to explore its leafy byways. Beer drinkers take note; if you’re looking to sample Oz’s finest brews during your waterborne travels, pay a visit to the Cascade Brewery in Tasmania’s capital city, Hobart. Established in 1831, the Cascade Brewery was the brainchild of Hugh Mackintosh, who ran the business with his two nephews, both of which were former convicts. The brewery is renowned for its crisp and refreshing ales and lagers, a taste it claims comes from the clean waters of the Hobart Rivulet. It’s one of Australia’s oldest continually operating breweries, and guided tours and sampling sessions are available on specific days of the week. If art and history head up your Australian cruise wish list, pay a visit to the National Gallery of Victoria during a port call in Melbourne. This historic gallery is one of Australia’s oldest, and proudly exhibits thousands of works from native and international artists spanning the past two hundred years. The gallery regularly hosts exhibitions from some of the leading lights of Australia’s contemporary arts scene, including Jeppe Hein and Subodh Gupta. It’s exterior is equally as fascinating, with a constant cascade of water enveloping its tiled façade. Travelling with youngsters? Inject your cruise with culture and fun with a visit to the Queensland Museum. A natural history centre housing millions of objects, the Queensland Museum hosts some of Australia’s oldest artefacts, including several complete dinosaur skeletons excavated just a few miles from the museum’s site in central Brisbane. The museum has a roster of permanent and temporary exhibits, so there’s always something new to see. The State Library of South Australia is the largest public research library in Southern Australia, and houses a vast collection of books and reference materials. Sumptuously designed and a pleasure to explore, the State Library holds the original ‘South Australiana’ collection, a mighty tome documenting the history of South Australia from the age of the first European settlers up to the present day. A highlight of the library is the Mortlock Wing, which is regularly voted among the most beautiful public library spaces in the world. For a unique cruise experience to remember, why not pay a visit to Darwin’s charming open-air Deckchair Cinema? Operating between April and November each year, this alfresco cinema screens a wide selection of major and independent films throughout the day, giving weary travellers the option to ditch the museums in favour of something a tad more relaxing. With food and drink aplenty, and guaranteed blue skies overhead, this is the ideal way to while away a sunlit afternoon. As well as a wide roster of modern artworks, the Australian Centre for Contemporary Art in Melbourne offers visitors the opportunity to enjoy a performance from the Melbourne Theatre Company or the Melbourne Symphony Orchestra. The centre houses a wonderful auditorium whose acoustics make it the perfect place to catch a show by one of these esteemed performance groups. Matinee performances are available for those visiting the city as part of a day trip; the complete programme of upcoming events can be viewed, here. Take a step back into Sydney’s convict past with a visit to the enigmatic Rocks, a mishmash of cobblestone streets and Victorian architecture on the city’s exquisite harbour foreshore. With bars, galleries, museums and restaurants vying for your attention, the Rocks is a kaleidoscope of colour and vibrancy where the old collides with the new. Schedule your visit on a weekend, and you’ll have the pleasure of exploring one of the neighbourhood’s bustling street markets, where it’s possible to pick up a selection of handmade wares or delicious local street food.